A vivid, up-to-date tour of the Earth's last frontier, a remote and mysterious realm that nonetheless lies close to the heart of even the most land-locked reader. The sea covers seven-tenths of the Earth, but we have mapped only a small percentage of it. The sea contains millions of species of animals and plants, but we have identified only a few thousand of them. The sea controls our planet's climate, but we do not really understand how. The sea is still the frontier, and yet it seems so familiar that we sometimes forget how little we know about it. 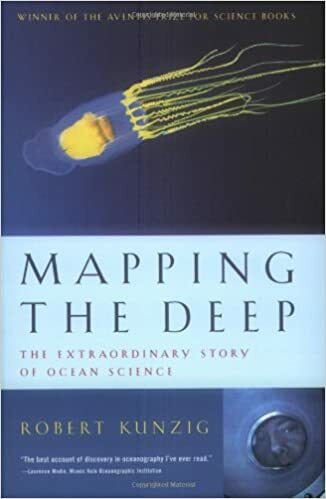 Just as we are poised on the verge of exploiting the sea on an unprecedented scale―mining it, fertilizing it, fishing it out―this book reminds us of how much we have yet to learn. More than that, it chronicles the knowledge explosion that has transformed our view of the sea in just the past few decades, and made it a far more interesting and accessible place. From the Big Bang to that far-off future time, two billion years from now, when our planet will be a waterless rock; from the lush crowds of life at seafloor hot springs to the invisible, jewel-like plants that float at the sea surface; from the restless shifting of the tectonic plates to the majestic sweep of the ocean currents, Kunzig's clear and lyrical prose transports us to the ends of the Earth.